Cannabis was the topic of conversation once again at Wednesday’s Nevada City Council meeting. 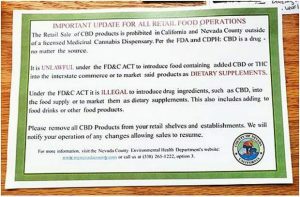 The council has been wrestling with the portion of its medical cannabis ordinance that regulates businesses other than dispensaries, such as ancillary manufacturing, processing and cultivation businesses. Indoor cultivation has been a point of contention, with moves to ban it outright or just limit the size of indoor grows. One proposed amendment to the ordinance regarding setbacks was vetoed in mid-March with a decision to abide by the current ordinance language. 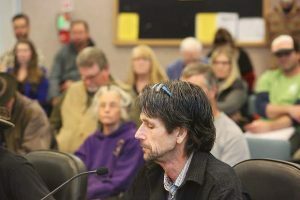 At the March 14 council meeting, a proposed year-long moratorium on indoor cultivation was tabled after an issue was raised regarding how that would affect nurseries and processing facilities, both of which fall under the state’s cultivation licensing. The council members had directed staff to come up with some size limitation alternatives, without banning indoor grows outright. When staff returned Wednesday with language restricting the size of indoor grows, however, some council members returned to the discussion of banning indoor cultivation altogether. Council members Reinette Senum and Duane Strawser expressed support for nursery and processing businesses, but wanted to exclude cultivation of mature plants. “We want to make sure we don’t get steamrolled unexpectedly,” Senum said. Permit applicant Basil McMahon said nurseries typically require less energy and water, and suggested 10,000 square feet as the size limit. Staff was directed to come back to the council with language that allowed processing and nurseries with no size limit, with a ban on mature plants corresponding with state licenses types 1, 2 and 3 (essentially all actual cultivation other than nursery).